Normally at this time of year, there would be a lot of activity at the hive entrance as the bees would be enjoying the Spring nectar flow, and the population would be growing fast. Not this year. 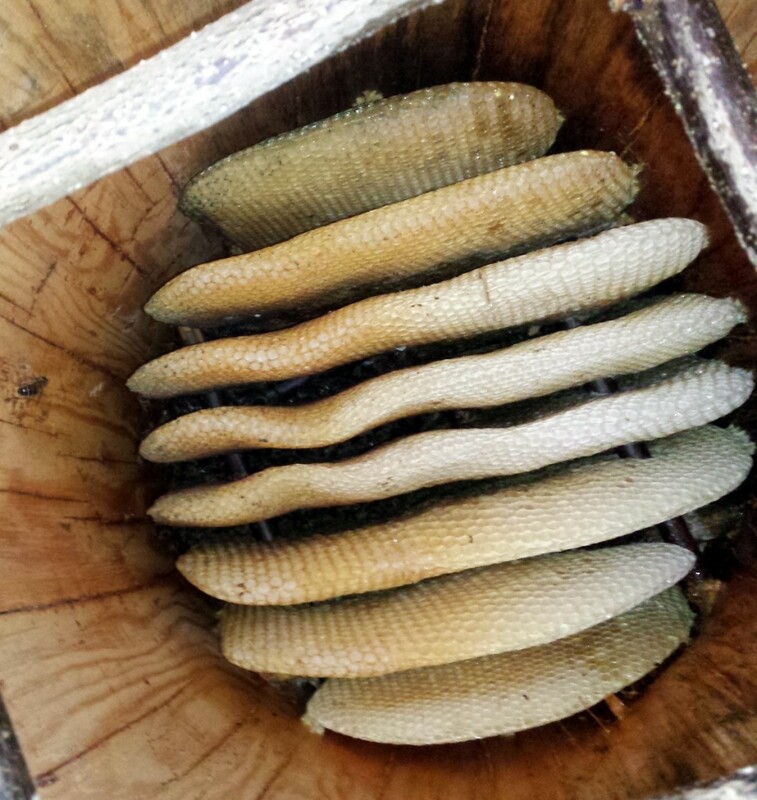 As for the last few months it has been unusually cold and windy which has kept a lot of the bees inside. I do not supplementary feed the bees, so only the strongest colonies survive.I removed the base to look up and could see a small group of bees between the combs. It was also re-assuring to see bees bringing pollen back so hopefully they will be OK. 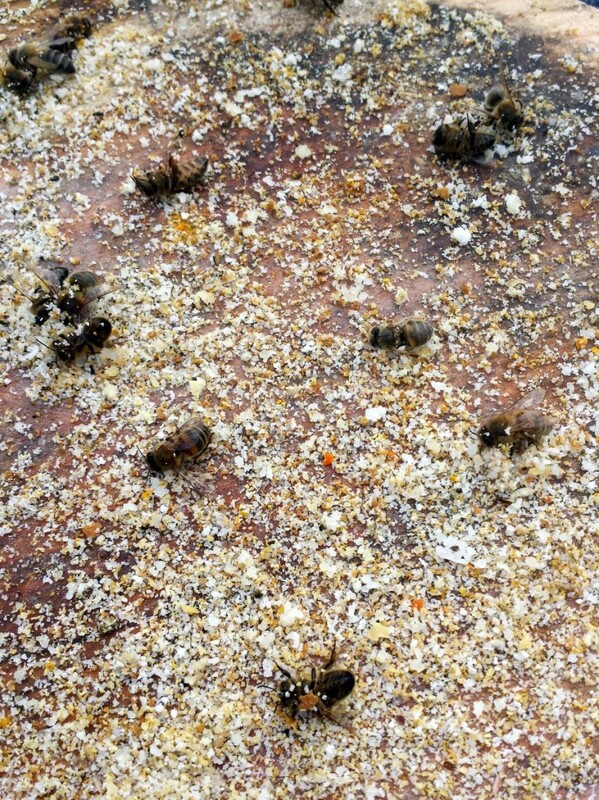 The base board was quite dry with a few dead bees. It looks like one or two show signs of DWV but I could only see one or two Varroa mites. Wax cappings are visible as well as pollen and a few ants. The bees did survive the cold late Spring and when I open the base again in October, it was a relief to see how well they had done. Previous Previous post: Bee Kind Hives in the news!